yaaaay! 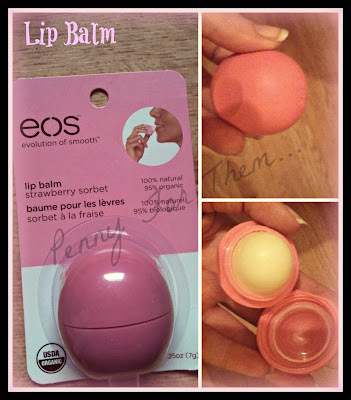 I won from Leigh's Blog Giveaway!!! The giveaway was HERE and Leigh sent it all out super fast and even recorded so it would definitely get here. I do that now as i won a competition once and the blog owner didn't send it recorded. It got lost and no substitute was offered, so its disappointing when you finally win something and don't get it! So thank you Leigh for sending it recorded, it means alot that you want it to get to the winner! Pink! oh so pink!! heheeee! There was a beautiful scented Body Lotion from the Bath and Body Works called "Pink Chiffon". The scent is just heaven and i couldn't describe it so i nipped over to the website and they described it as scented with "Sparkling red pear, Vanilla Orchard and whipped Chiffon Musk"....no wonder i couldn't pin point it, but all together these make a delicious smelling body lotion! Next up is a fragrance mist called "Twilight Woods" from the Bath and Bodyworks Signature Collection. Again, i couldn't specify what scents they all were so jumped back over to the web, and didn't disappoint! This one was apparently inspired with a walk through the woods in mind. The combination of scents include "juicy berry, soft mimosa, apricot nectar and warm woods". Its such a great scent - its not over powering so I'm thinking it would be a great sub for a perfume if you don't happen to have any with you! Love it! 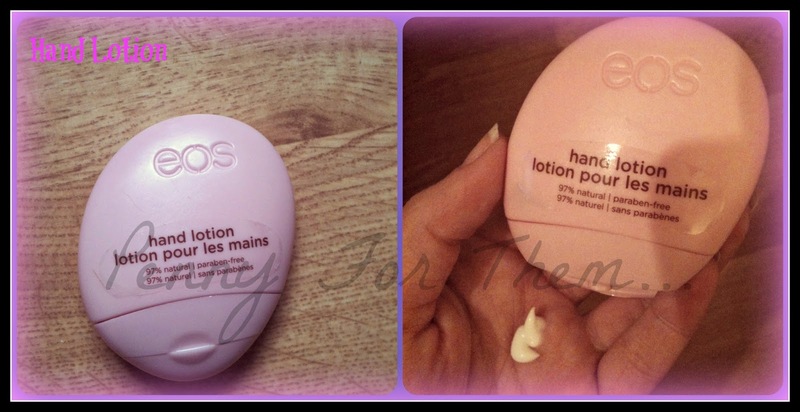 Then comes a really cute little bottle of Eos Hand Lotion in "Berry Blossom". Again, smells divine!! I'm gonna have to seriously check out Bath and Bodyworks as these are all just lovely and feel and smell so luxurious! The more i read and test these the more i love them! The lotion comes out with a gentle squeeze of the bottle and a little goes a long way, so i think this one might be heading for my handbag as its a perfect size and scent! 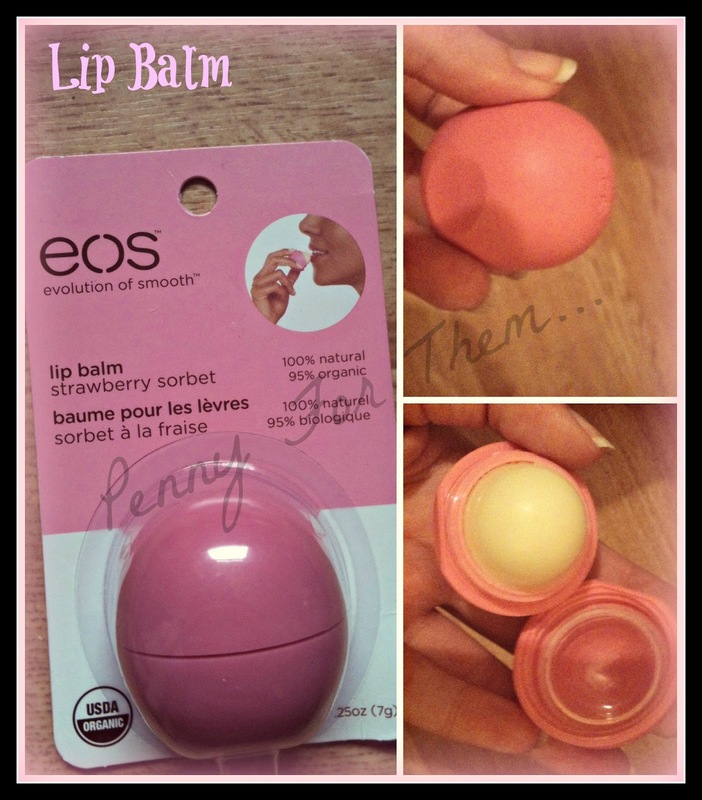 Last, but certainly by no means least is the Eos Lip balm. This one is in Strawberry Sorbet, another gorgeous summer scent. I love the shape of these - reminds me of the Balmi's that were recently released. This scent is fresh and instead of the total circular shape that the Balmi has, this has like a cone shape which i think will help to be able to use more of it so you're not trying to scrape around in the bottom of the container afterwards! So there you go!! I wasn't sure about the prizes i was going to get from Leigh, but when i got them, i was gobsmacked - great items, great scents and just a lovely prize! And Leigh being a generous blogger she is, even included a few little samples of other creams in with them so i have even more to play with! A massive thank you to Leigh, for holding the competition in the first place and for the fabulous rafflecopter for picking me out of the lineup of entries!! be sure to pop over to her blog (link is above), its a great beauty and bargain blog and you'll be able to enter the next competition Leigh throws! Thank again Leigh, you made my week!! Well done! Good that you got it sent recorded; bummer about the previous one. Unless it is sent recorded, there is no guarantee and postal services across the world have become so lax after the internet and courier delivery.